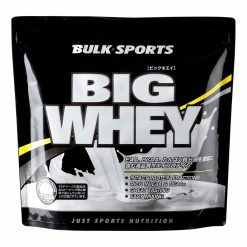 Big Whey is using fresh, high quality whey protein from the major milk protein manufacturers in the world. It includes essential amino acids such as leucine, as well as many natural branched-chain amino acids. Big Whey mixes and dissolves easily in a shaker cup. 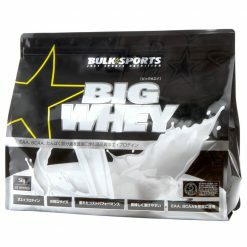 Like other Bulk Sports products, Big Whey aced product purity inspection by an independent inspection agency. Once you see the Big Whey label, you can have peace of mind that you are using a quality product. 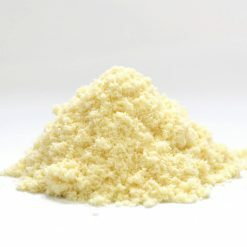 The difference between Big Whey and other leading protein supplements is flavor. Most brands compromise, but Big Whey spares no cost for its premium flavor system. To change the image of the traditional protein supplement completely, Big Whey strives to provide a tasty and easy-to-drink product. Also, unlike other brands, Big Whey does not insert additives such as maltodextrin and dextrin. Our product packs a powerful punch with a large amount of protein in every serving. 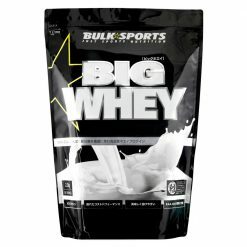 Big Whey was produced and sent out to the market in response to the high expectations of customers looking for useful protein products. Our products reflect the customer’s voice by combining high quality and affordability. Does not use any artificial sweeteners or additives. You will taste the raw material of the product. To make it easier to drink, choose one of the eleven tasty flavors. Take one scoop (25g) or one pack (25g) mixed into 125-150mL of your beverage of choice. Use first thing in the morning. A fast-acting amino acid that balances nitrogen levels in your body. Take between meals to maintain stable amino acids levels throughout the day. Take before and after exercise to promote muscle growth and repair. Take before going to bed to supply your body with the amino acids it needs to grow and recover during sleep.